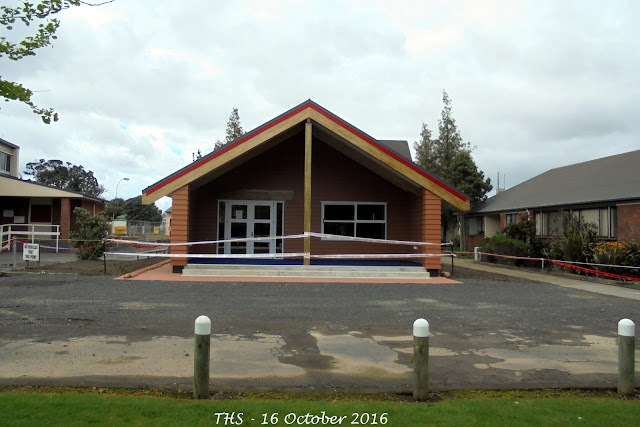 News in the Hauraki Herald (24 February 2017) that the Wharenui has been completed at Thames High School. 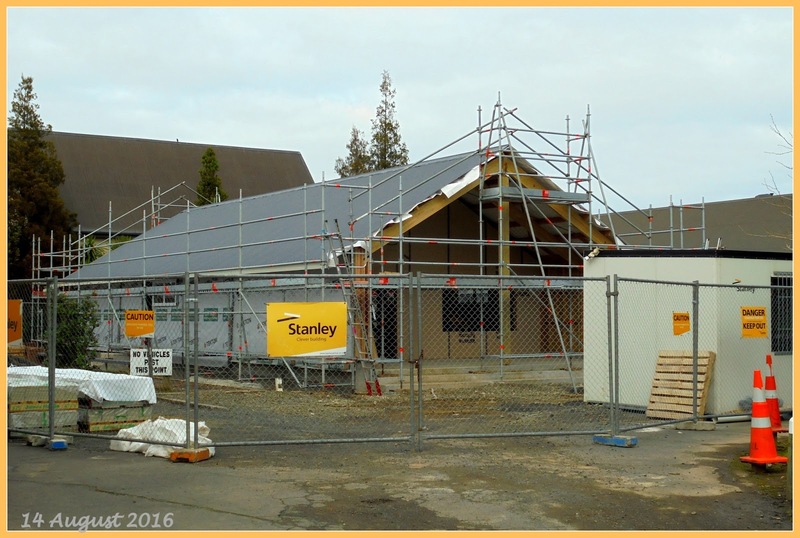 The cost was $400,000 and the building will be blessed and officially opened 28 February 2017. 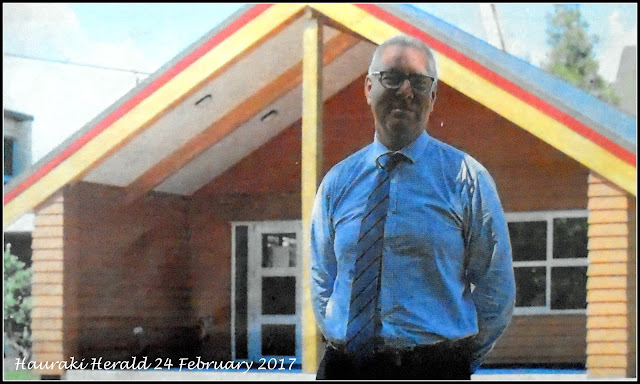 Principal Dave Sim hopes that in future the building will be 'dressed' by future users - adding kowhaiwhai panels and carvings. The building will be used for te reo Maori classes, and by cultural and community groups. 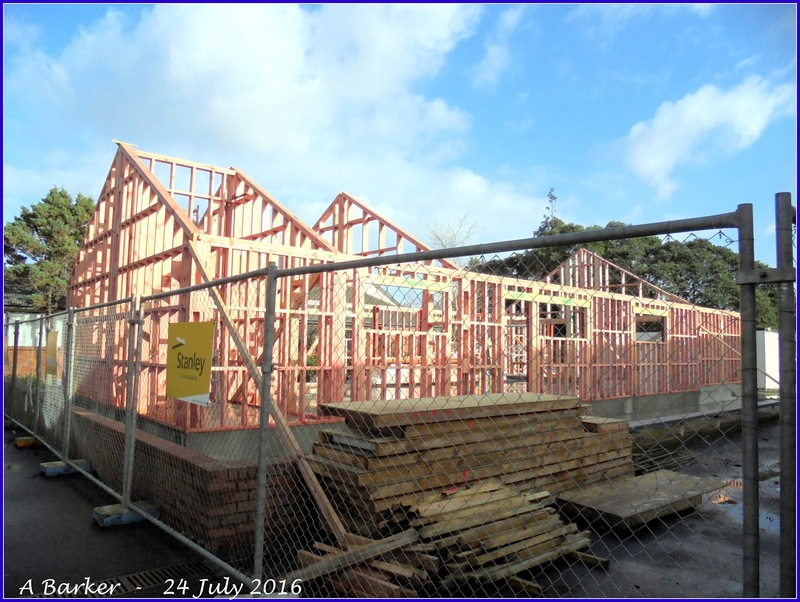 The previous building has been removed, to allow for the development of the new indoor court complex. The purpose of these images, like the 'Then & Now' views, are to allow us to see the Thames as our ancestors did. In many cases the views have changed considerably in our lifetime alone, but for other areas the change has been more gradual. 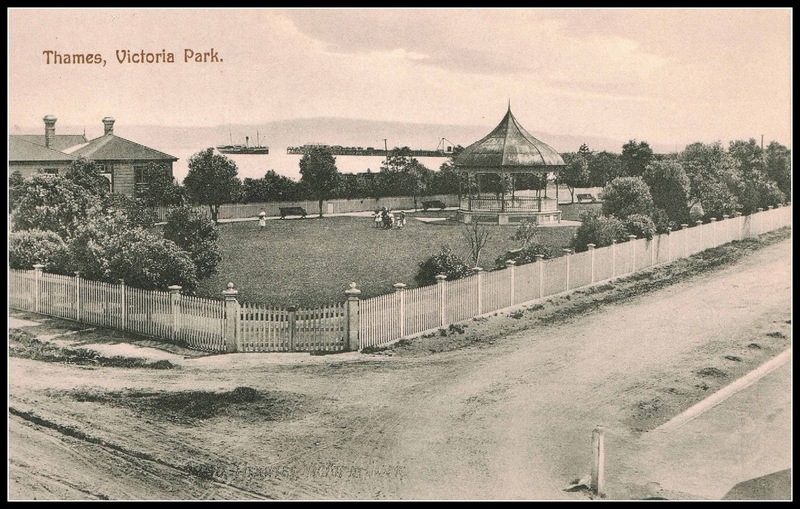 When the Victoria Park was established and the Band Rotunda built in 1902 - the landscape was very different. The water literally cam up and in parts around the railway line on the seaward side of the park. While the view towards the Burke Street Wharf was clear, today completely obstructed by mangroves. The railway lines are long gone, the land to the west reclaimed and now the site of the Thames Croquet Club. 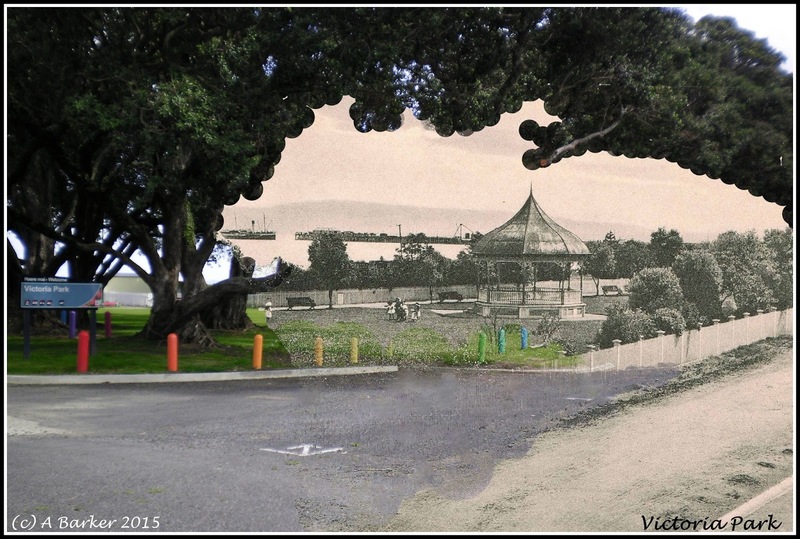 Above: Then & Now combined view, looking North-west from the Albert Street and Beach Road intersect. 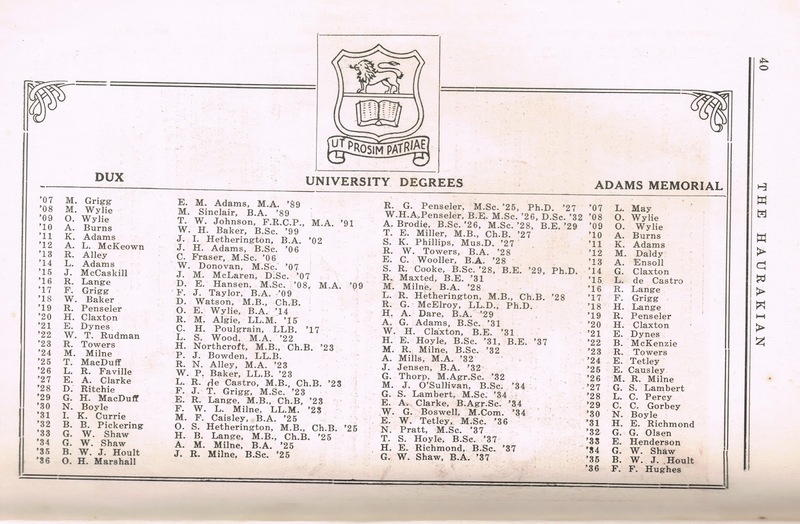 The 1937 Haurakian (The Thames High School annual magazine) contained this list of early achievers at Thames High School. 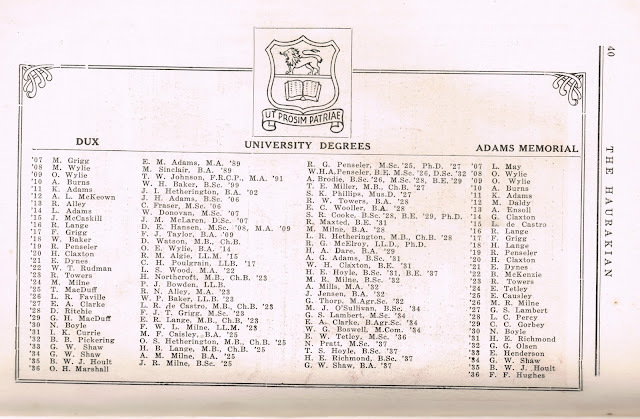 Established in 1880 the names of the schools Dux, Adams Memorial winners are included, along with the name of those who went onto to be awarded a University Degree. 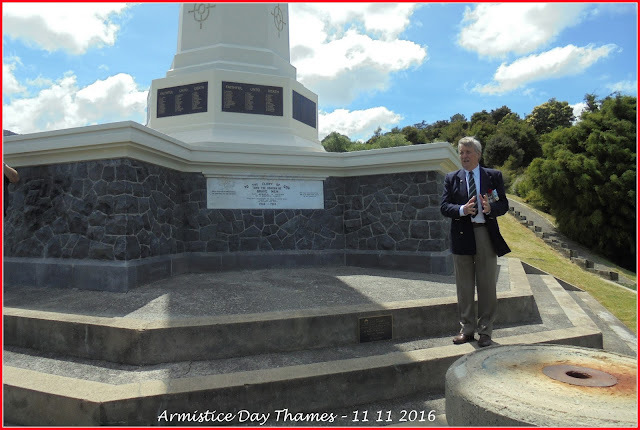 Take a look at the names and you will see many well known Thames families, and those who went onto to have a long connection with the town. Interestingly the first two names listed for 1907, went onto serve in World War One. The 1907 Dux was M Grigg - Matthew Henderson Grigg 4/174. 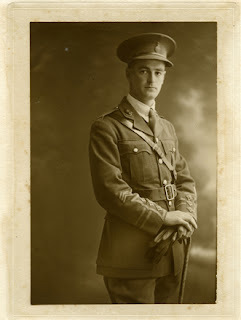 His father was world renown astronomer John Grigg, a music shop owner and teacher in the town. 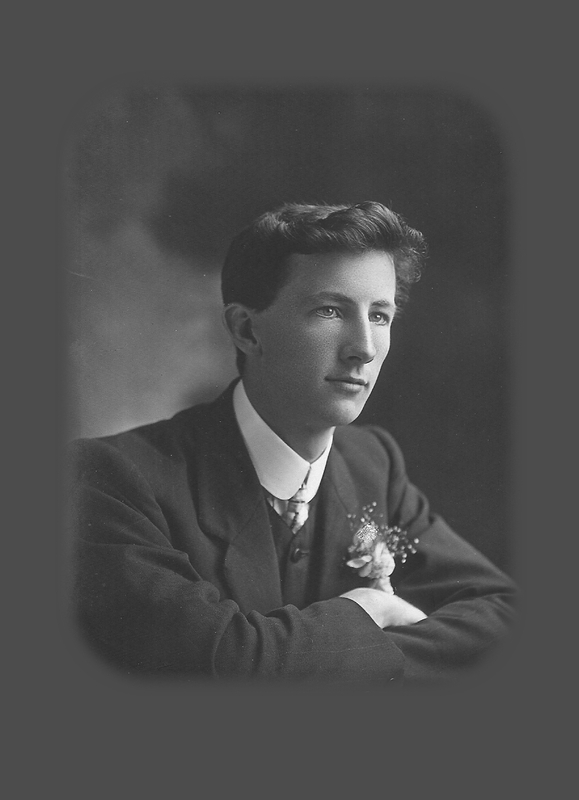 The winner of the Adams Memorial Prize in 1907 was L May - Leslie May 4/1230. In the Newspaper report concerning the 1907 Thames High School Breakup and Prize-giving, Headmaster Winter expressed the thanks and support of the staff and pupils at the school. In particular made special mention of Leslie May and Hazel Lowe. He appointed each as Head Prefect for the following year - and awarded them a small shield as badge of office. The Adams Memorial Prize was instituted 8 August 1907, to be awarded for Mathematics. There was also the unveiling a special portrait of Mr J Adams, to serve as a reminder for the high standards he had achieved and wanted the school to achieve. The criteria for the annual award was an aggregate of four mathematical subjects, and to include arithmetic, geometry and algebra. See how many names you recognise, any ancestors? Postscript: Headmaster James Adams was the first Headmaster of the school when it opened in 1880. Headmaster Adams died September 1906. Over the years the sundial that was near the Peace Memorial has been a subject of conjecture. Did it exist, or something just imagined. Well yes it did exist! 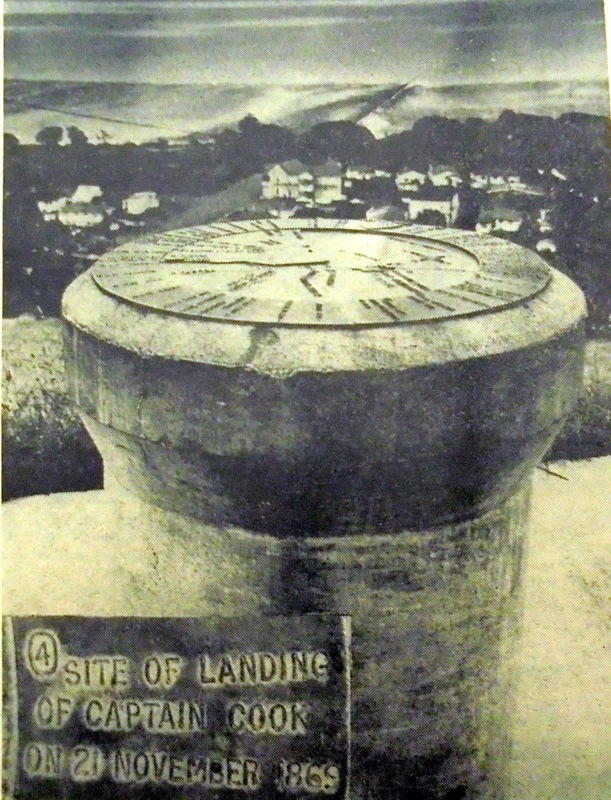 The stand for it remains today, but the sundial and direction finder are long gone. The Thames Star 30 January 1973 featured an article about a 'fact' on one of the indicators. 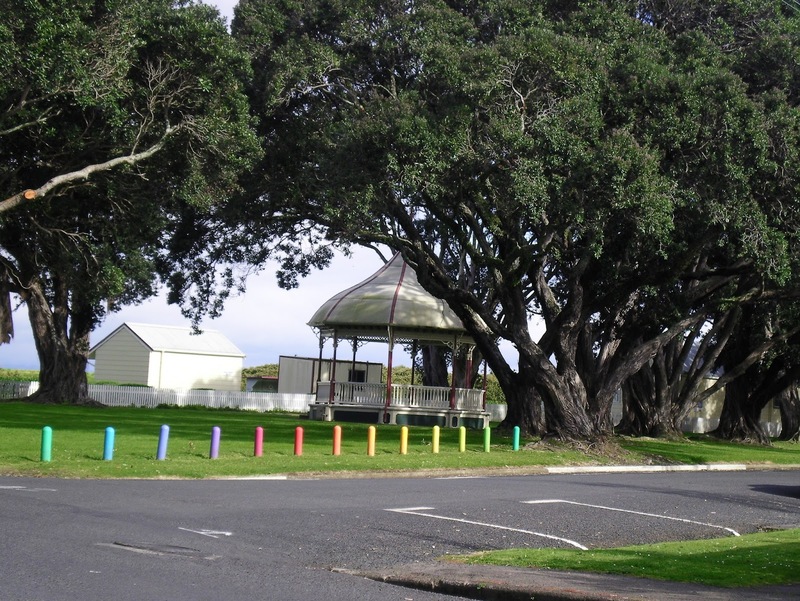 The plaque claiming the arrival of Captain Cook to the area in 1869, when as the Kelly family pointed out should have read 1769. 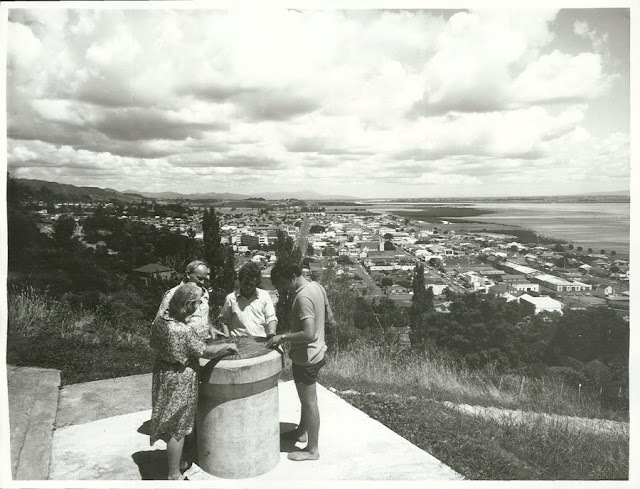 I have seen photos of people standing by the sundial - if you have one please let me know. 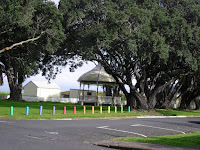 Below is a 2016 photo looking towards the Peace Memorial. The base of the sundial still stands today - lower right. Update 17/2/2017: 1972 Group of people enjoying finding places on the direction finder. View of Thames, Firth of Thames on right. A new booklet hot off the press today. 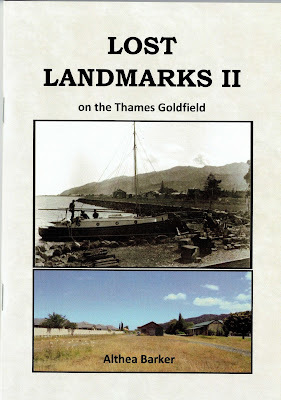 LOST LANDMARKS II on the Thames Goldfield. Soft cover, A5, 40 pages. The booklet continues on exploring in the one page format, landmarks that have been lost to the Thames. For those who purchased Building Thames, there are a few duplications. 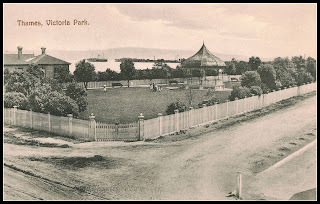 Albert Street Shops, Baillie Street School, Bank of New Zealand, Braemar Hospital, Brown Street Shops, Central Hall, Coakley’s Store, Diamond Jubilee Playground, District Homes, Fenton Street Shops, Franklyn Street Store, Government Buildings, Graham Hotel, ‘Haunted’ House, Hauraki Clothing Factory, Kauaeranga Hotel, Kauaeranga Road and Rail Bridge, Lamb’s Timber Yard, Lighthouses, Masonic Lodge, Plunket Rooms, Pollen Street Shops, Post Office Hotel, Rolleston Street Shops, Scrip Corner, Shortland Public Hall, ‘Special’ Trees, Sperry Home, Steam Locomotives, Technical School, Thames Hospital (1868), Verran Bros Office, Wakatere Play ship, and Warwick Arms Hotel. Just an update on the project to add as many as possible of the burials for the Shortland Cemetery in Thames. Thanks to the amazing assistance given by "JJ" the majority of names are listed now at Find A Grave. There will be cases perhaps of double-ups where surnames have in some cases multiple spelling options. So be creative when you search and try just adding the first letters of a surname to get the result you want. If you find a grave of an ancestor, who has a memorial created by someone else, you can ask to take management of that memorial. Thereby easily updating and adding information as you are able. You can add death notices, photographs of the deceased plus biographical information. So check it out, now and see if any of the 6,600 plus names are members of your family tree.